Born in Seoul, Korea and raised in Seattle, WA., Hye Jin started working for Eli Lilly and Company after college, which led her to Indianapolis! She and her husband, Ashish, discovered Bikram yoga in New York. 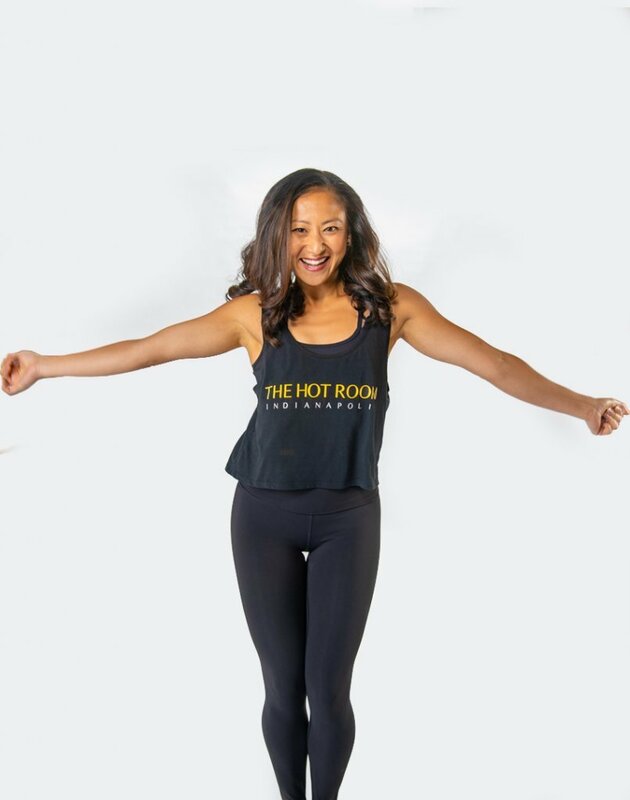 Once it was time to move back, Hye Jin looked at the yoga scene and discovered Bikram yoga was not offered in Indianapolis. That’s when she realized she needed to build the studio. In her spare time she loves spending time with her husband, Ash, and two girls, Maya and Annika, and their dog Cooper. When she’s not in The Hot Room, she’s outside hiking, traveling, and exploring new cities. My favorite pose is standing bow. I love the balance of strength, determination and grace that is needed in one pose. I love to watch Real Housewives of NYC and Million Dollar Listing NYC. I miss living in NYC! I was a member of the nationally ranked University of Washington Cheer Squad. I have traveled all over the world teaching cheerleading and now yoga!